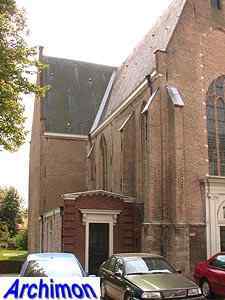 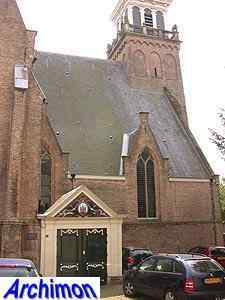 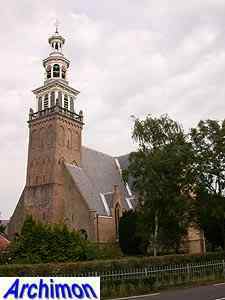 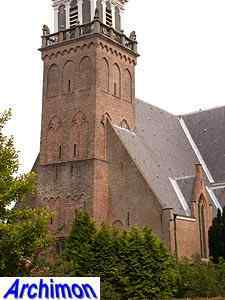 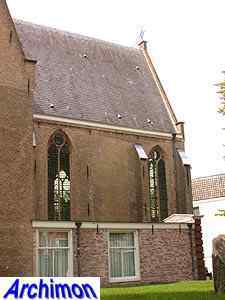 The reformed church of Haastrecht is often called the phoenix among churches. 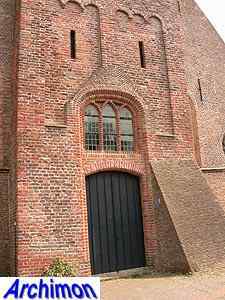 Four times it was destroyed by fires, and each time it was rebuilt. 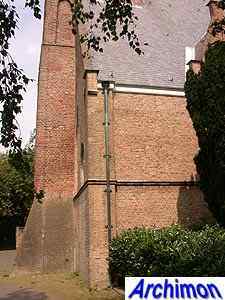 Of the original church only the lower part of the tower and parts of the western facade are left, the rest was rebuilt or added later. 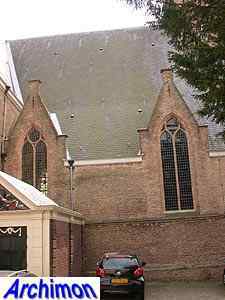 In 1511 troops of the Duke of Gelre were the first to set the church on fire. 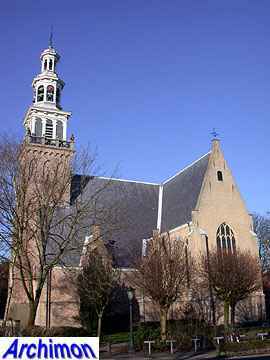 In 1573 this was repeated by one the battling forces in the 80-years War. 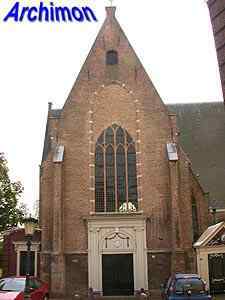 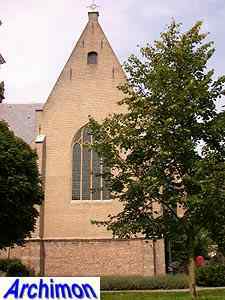 In 1609-1611, other sources say 1624, the church, which in the meantime had become protestant property, was almost completely rebuilt on the old foundations. 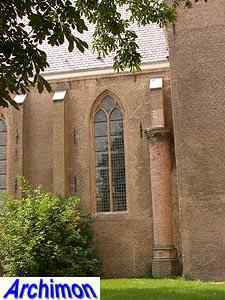 It seems likely that it was reconstructed to its old state, still being in a basically Gothic style, but this is not completely certain. 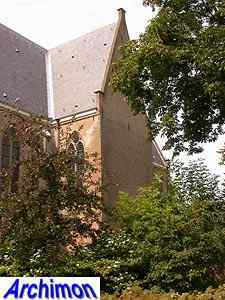 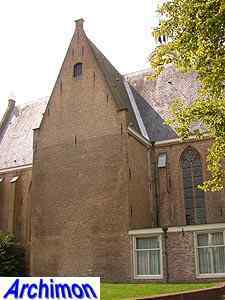 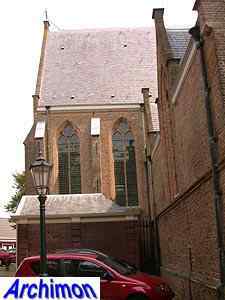 The two gables on each side of the nave however are typical for Gothic churches in (Zuid-) Holland, making it unlikely that they were only first added after the rebuilt. 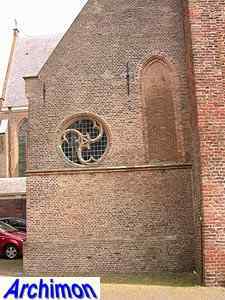 The transept was rebuilt on partly preserved old walls. 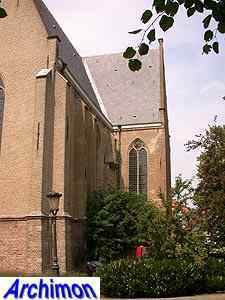 The choir was not rebuilt, resulting in an odd T-shaped ground-plan. 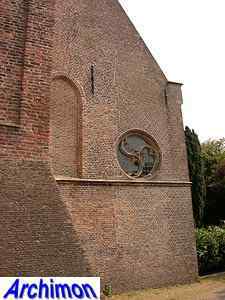 Today the outlines of the former choir are visible in the form of walls around a small park. 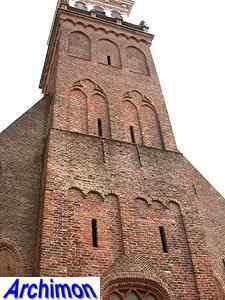 To the top of the 13th-century tower a segment in Classical style was added. 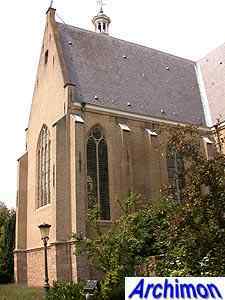 In 1896 a fire once again destroyed the church, which was quickly rebuilt. 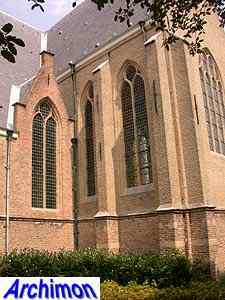 The last fire was in 1964. 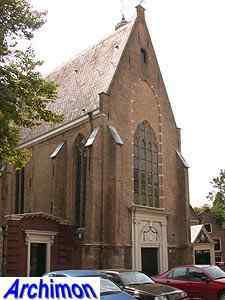 After this the church was largely restored to its 17th-century state. 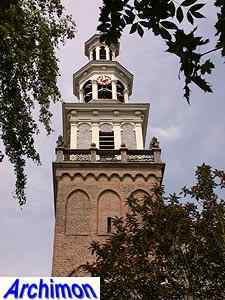 A new segment in Classical style was added to the tower, which is very different from the former one. 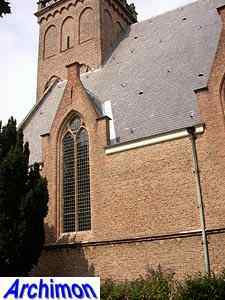 Also the nave was lengthened with a few metres were the choir had been.